Dynasty Dental Care, Alexander Borukhov (Forest Hills) - Book Appointment Online! 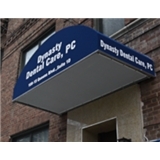 Dynasty Dental Care proudly serves patients from Forest Hills and the surrounding areas. With two locations located in Forest Hills, we are committed to providing the best quality of dental and oral care to each and every patient. Dr. Borukhov is Invisalign certified, and also specializes in veneers and dental implants. I’ve been going to see Dr. Borokhov for many years now and I’m very pleased with his dental work. He’s an extremely diligent and intelligent dentist with a lot of patience and a good sense of humor. Whenever I get too serious about the procedure, he always knows what to say to make me laugh and I can’t help but relax. He’s had a lot more training than most, both abroad and at Tufts and NYU, so he seems to know more about teeth than anyone else I’ve met. So I always feel confidant that he will repair my teeth like an expert and make the right decisions. Not only does the lab Dr. Borukhov use make great crowns, but he also makes his own eMax & Zirconia crowns in-office and has a great ability at making the crowns look like actual teeth. I used to suffer from dental anxiety but always feel at home at this office with the dentist’s calming nature and his kind and friendly staff. I’m also impressed with the new office on Queens Blvd, which is quite beautiful, comfortable, and hi-tech state-of the-art!